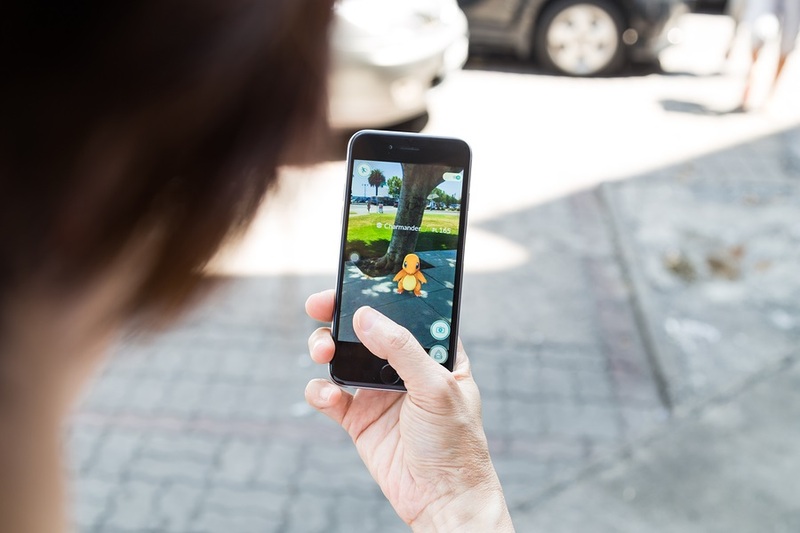 Technology definitely is not what it used to be, and thanks to augmented reality the way we play games might never be the same. Recently there has been a game that is utilizing augmented reality and physical activity to get people off the couch and on their feet. If the term augmented reality has you scratching your head, no worries we can break it down for you. Augmented Reality is essentially the blending of virtual objects and inserting them into your real life. Pokémon GO is an augmented reality game that has captured our attention, our hearts, and more importantly our data. The game became a huge sensation overnight. I grew up playing Pokémon the very old school way with a deck of cards, then slowly it merged into handheld devices where it lived comfortably until now. Pokémon GO was developed by Niantic for iOS and Android devices. Essentially if you haven’t been living under a rock the game utilizes your phone camera and GPS to capture, battle and train Pokémon. The Pokémon appear on your screen via the camera and appear in your real world. All the characters that you grew up with and loved are literally all in your backyard and your neighborhood. You just have to get up and find them. This isn’t the first time that we have seen augmented reality being utilized. You see this when you are watching a football game on television. The lines on the field outlining the yards to achieving a touch down, the military uses some AR technology as well to train troops. The difference between Virtual Reality and Augmented Reality are huge, virtual reality creates an entire virtual world for you to see. It has all been created by a computer and you need to wear special goggles or glasses to see the world around you. All that is necessary to view an augmented reality is a smart phone and an app such as Pokémon GO. So what the heck are you waiting for? Get out there and Catch Em All.